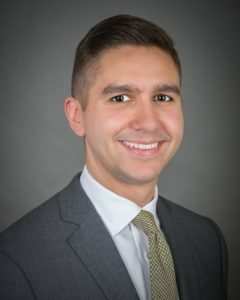 Jeff Grossich joined The Blake Horwitz Law Firm as an intern while still in law school. After graduating and passing the bar, Jeff was hired as a full-time attorney. Jeff handles civil and criminal cases in both state and federal court. He has experience in all aspects of litigation, from initial client consultations, through pleadings, discovery, motion practice, trial, and post-judgment proceedings. Jeff received his bachelor’s degree from the University of Illinois at Urbana-Champaign. While at the University of Illinois, Jeff double-majored in political science and history, and graduated in three years. Jeff received his law degree from the Loyola University Chicago School of Law. Jeff also has a Master of Arts in philosophy from the University of St. Mary of the Lake. Jeff is fluent in Spanish.